Brexit: Scotland’s Nicola Sturgeon actually had a plan. The first casualty after the United Kingdom’s vote to leave the European Union on the 23rd June 2016 was Prime Minister David Cameron. He resigned just hours after losing the Brexit referendum, having gambled the nation’s economic future in an ill-conceived attempt to pacify infighting in his Conservative party. Next on the chopping block was Boris Johnson, who, after leading the Leave campaign, appeared startled and unprepared for victory. He was forced out of the race to succeed Cameron by an ally’s betrayal. A third leader, Jeremy Corbyn, lost a vote of no confidence to the Labour Party rank-and-file, which was furious over his halfhearted case for the Remain side. A leadership race is now in progress with Corbyn standing for re-election, despite the objections of his parliamentary MP's but supported by the membership at branch level. Possibly the most shameless figure to exit the stage was Nigel Farage, the leader of the U.K. Independence Party (UKIP). He admitted after victory that a critical argument for Brexit had been a “mistake,” and then resigned his position. As the dust settled after the Brexit vote, the only major British politicians standing were two women: Theresa May, the new Tory Prime Minister, and Nicola Sturgeon, the Scottish First Minister. 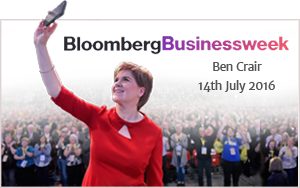 Unlike May, who lucked her way into a battlefield promotion, Sturgeon had a plan - and is arguably the sole British party leader to emerge stronger from the Brexit bloodbath. She campaigned to remain in the European Union but has been steadier in defeat than anyone on the Leave side has been in victory. 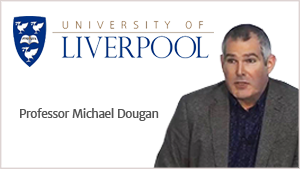 Professor Michael Dougan is one of the UK’s leading EU law experts. In this video presentation, he answers many questions he has received from REMAIN and LEAVE supporters. Most of these questions refer to his presentation, What you need to know about the EU Referendum released before the referendum vote which criticised the integrity and honesty of the LEAVE Campaign. He cites many examples to support his previous comments on the LEAVE campaign and highlights the failure of the campaigners to honour their promises immediately after they won the vote. 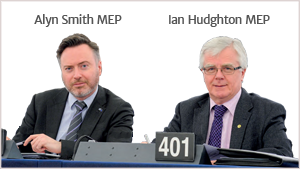 He thoroughly debunks the main claims made by the LEAVE campaign, especially concerning the involvement of the EU with laws, democracy and immigration. 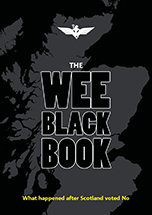 He describes the political and constitutional fall-out from the vote and explains how this will affect the future of the UK and its standing in the World. 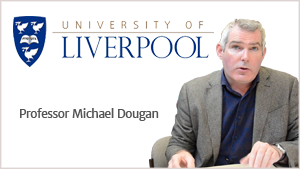 Professor Michael Dougan is one of the UK’s leading EU law experts. In this video presentation, he criticises the referendum debate’s “dishonesty on an industrial scale”, as he considers the claims and counter claims from each side. A Professor at the University of Liverpool Law School, he has spent his career studying EU law as it relates to the UK; contributing to Parliamentary Select Committees, advising government and now helping media fact check the barrage of assertions emanating from the Remain and Leave camps, in the run up to June 23. 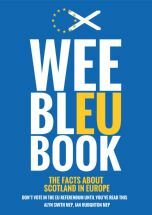 This is an extremely valuable source of information and is a 'must-see' in order to appreciate the truth concerning the exit of the UK from the EU.